Companies have never had a way to track the impact of corporate culture on earnings... until now! Kay Sever is an Expert in Reducing Losses caused by Corporate Culture. In large companies, many of these losses exceed $1,000,000! Kay's Proven System for Loss Reduction reveals losses and arms management teams with tools and strategies to reduce them. it's time to invite Kay to your next strategy meeting or conference! No one else can connect your management team or audience to corporate culture's HIDDEN PROFIT POTENTIAL! To truly MAXIMIZE PROFIT, you must know how to #STOPYOURLOSSES! Companies know how much money they are making, but DON'T KNOW how much money they are losing in the process. Your reported profits are likely being reduced by hidden losses that are never tracked. These losses are caused by organizational weaknesses and the corporate culture, not by equipment or systems! They steal profit, hide growth potential, divide people and create barriers to change... and millions of dollars can be forfeited without management's knowledge. How much more money could companies make it they could track and reduce these losses? Kay can help you find out! You begin to chase your "earnings potential" (different than budget but greater than reported earnings). Profit and culture change simultaneously because hidden losses are exposed and organizational weaknesses are now gone! Kay can give your team the insights and strategies to embrace "loss reduction" thinking and integrate it into your management system as a tactic for profit maximization, culture change and awesome competitive advantage! After spending ONE DAY WITH KAY, your team will NEVER GO BACK to their old way of thinking! Meet Kay Sever, one of the world's Leading Experts in Reducing Losses caused by Corporate Cultures. Over her career, Kay has identified over $100,000,000 of hidden losses, losses that were unknown and unreported to management teams. Over 35 years of industry experience, including 19 years as a management coach & consultant (Fortune 500). CMC (Certified Management Consultant), Professional Speaker (NSA), NSA-AZ Chapter Board Member (3 Years) ..
3-year in-depth study of management's barriers to change - Ground-breaking discoveries shared with audiences. A Proven System for reducing hidden losses caused by the way people think and work together!. Has Worked and spoken across the USA and internationally (Canada, Australia, Chile, Bolivia and Peru). Kay helps executives and managers SEE what they could not see, CHANGE what they could not change, and ACHIEVE what they could not achieve...until NOW! Create "Revelation Moments", where people get a new perspective and NEVER GO BACK to their old way of thinking! Give people new perspectives on old problems! Reveal hidden opportunities for growth and change. Inspire courage to make choices that build collaboration & clarity needed for great results and a great culture. Make change easier and faster than people have been taught to believe is possible. Reveal the deceptive power of corporate politics and how it drives a very expensive wedge between people and profit. Expose invisible links between losses and profit, culture and change.. and management's access to FREE profit! "BUILDING AN OPPORTUNITY CULTURE — Addressing The Barriers That Steal Profits and Prevent Sustainable Change" Kay's first book in her "People Side of Improvement Series" highlights the barriers to change that plague all management teams...even the barriers that are only talked about behind closed doors. 40 case studies are featured, plus an appendix filled with selected articles that raise awareness and teach lessons about change. Chapters discuss links between improvement and culture, fear in the workplace, management's role in change, execution, personal choices, one person's impact on change, and executive roles..... CEO Gordon Barker says: "Top executives have lost contact with...underlying problems at their operations. Companies could increase financial stability if they were aware of the losses that these problems were generating. This book raises awareness about those losses and controllable issues that steal profits and process efficiency." 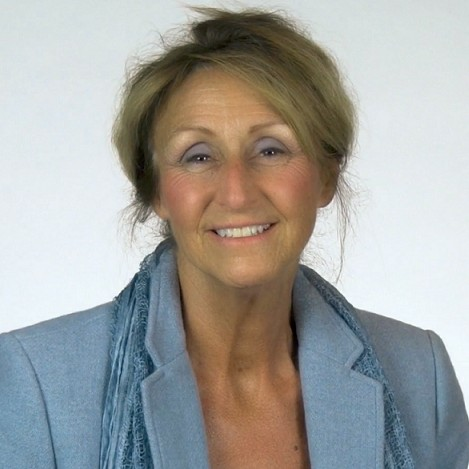 Find out more about Kay Sever, CMC at https://miningopportunity.com/speakingworkshops/.